Hollister Locknroll 1-Piece Drain Pouch, Cut-to-Fit is an ostomy pouch that provides a high level of care to your skin by utilizing a Flextend skin barrier. Specifically designed to be gentle, this drainable ostomy pouch attaches firmly to the skin and can easily be closed, emptied and cleaned. Ideal for people who struggle with dexterity problems, this pouch can easily be closed by simply rolling it three times in a single direction. Hollister Locknroll 1-Piece Drain Pouch, Cut-to-Fit contains reinforcing strips that allow users to control content flow. A Softflex skin barrier and cut-to-fit size enables users to create a completely personalized and one-of-a-kind fit with this pouch. Comfortable and easy to use, this is a great pouch for people of all ages. 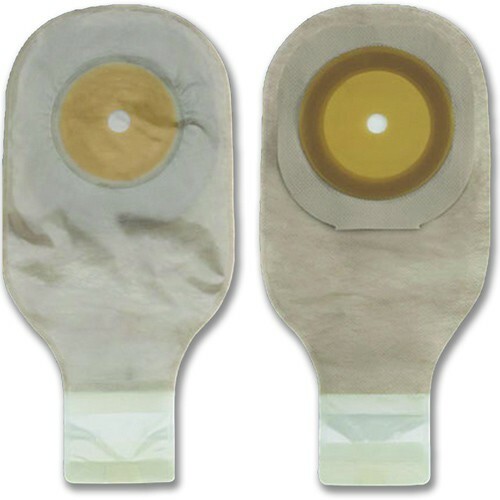 You may also be interested in similar cut-to-fit ostomy pouch products, such as Assura Drainable Pouch Non Convex Standard Wear EasiClose Wide Outlet Maxi. Flextend skin barrier provides a high level of gentle skin care and reduces inflammation and irritation. Pouch is easy to close, empty and clean, making it ideal for persons who suffer from vision impairment or who have dexterity problems. Can be cleaned by simply wiping the inside of the pouch tail with a wet tissue. Cut-to-size to ensure a proper and comfortable fit for all users.